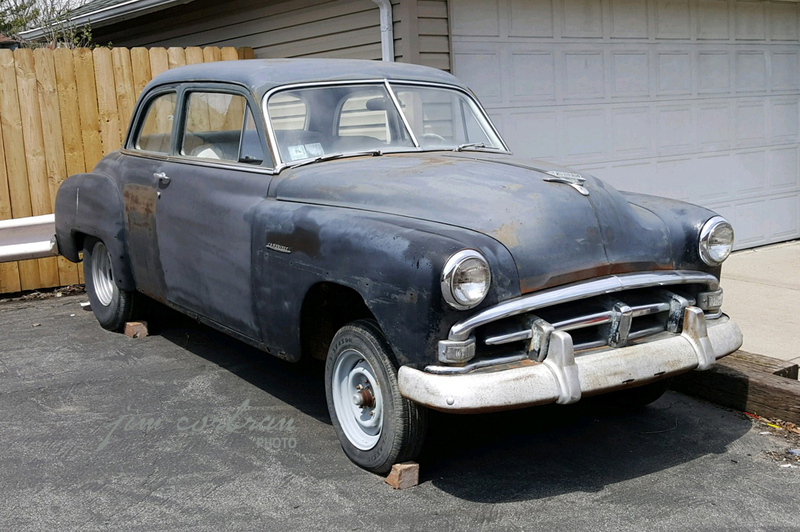 It’s not totally evident from this photo, but this 1951 Plymouth Cambridge was in the middle of the marque’s model lineup that year, between the cheaper Concord and the more expensive Cranbrook. This one, seen a few weeks ago on Buffalo’s West Side, looks pretty solid. A little bit of trim, some new chrome, and a respray and… there you go, ready for next week’s cruise-in!